After seeing some lovely tarsiers and chocolate hills on Bohol, I hopped onto a boat and went for a trip on the water. The sun was bright, and the breeze was cool – it was wonderful! I visited a very small place called Mantatao Island. Most of the people who live here fish to earn a living. It was a very quiet place, the streets were made of dirt and were narrow too. Because the island was so small, there were no cars. People walked everywhere. 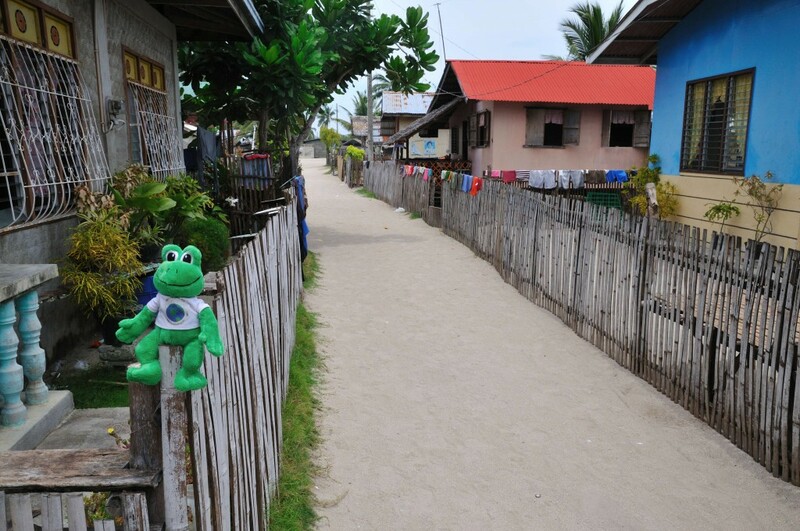 When I arrived, it was strange because people were not used to see a frog before, so all the children hid from me. But I waited and smiled a lot and soon many children came to say hello. Soon, I had many new friends! Life is always better when one smiles. With children at Mantatao Island. While I was hopping around the village, I saw many houses. Most of the houses were made of local trees, and some of houses looked very nice. The windows were different, they had no glass, but they had some patterns over them. I did not hear any televisions, so I do not think people have many here. The children also did not have many toys. But everyone seemed happy, so I learned that one does not need to own many things to be happy. Some very nice men asked me to visit their home. I hopped onto the seat and we tried to talk, but we did not speak each other’s language. We still laughed a lot, so we both had fun. I hopped back to the boat and left Mantatao Island, and we went to a place to snorkel. The coral reef was very big and there were many different types of fish. These fish had many bright colours – yellow, red, blue, orange – and they were very beautiful. I swum around for a long time and did not want to leave. It was getting late, so the boat took me back the hotel and the sunset was amazing. The colours were so bright. 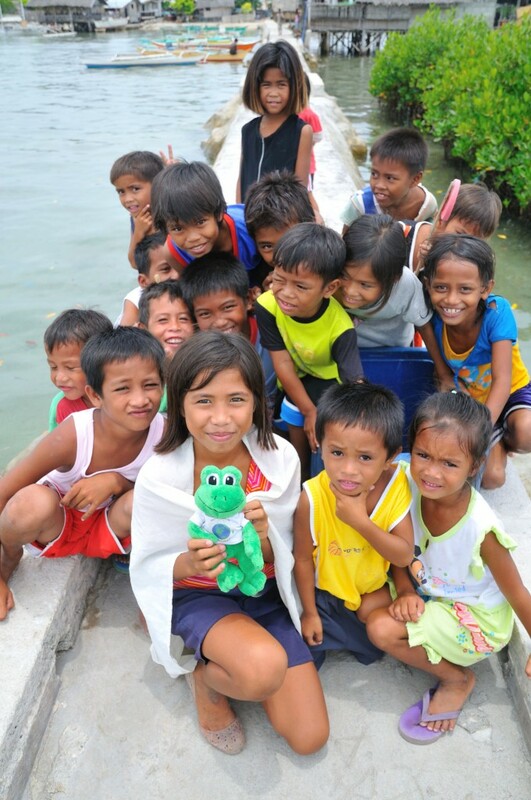 There are many bright colours in the Philippines. Polly enjoys a beautiful sunset! I was so tired after such a lovely day, that I slept for a long time. 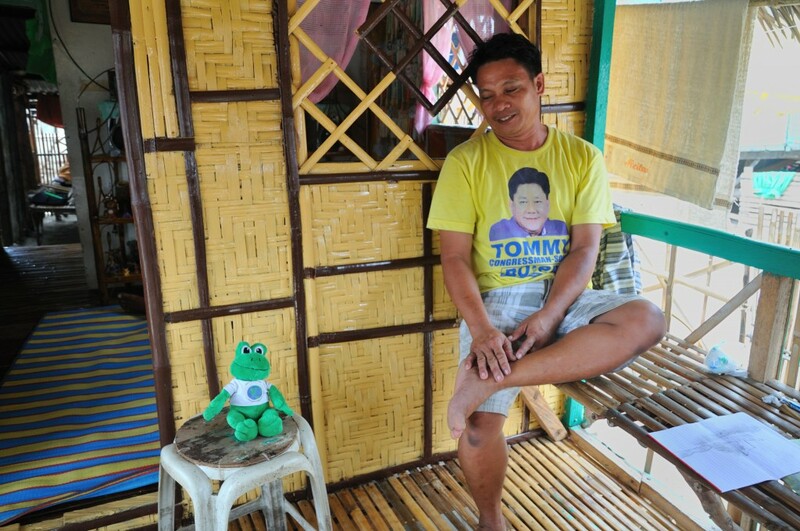 I will be sad to leave the Philippines, it is good for a frog to visit here. Wow, what a nice post! 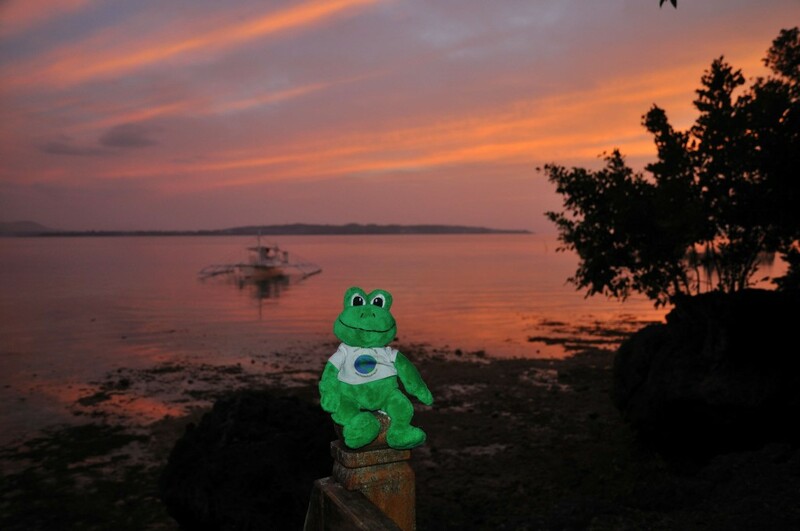 Of course I love the picture of Polly with the local children, but the sunset picture is fantastic too! Is it typical for the houses not to have glass covering the windows,or did you just see that on a few of the homes? I love the pictures and the information…amazing post as usual! 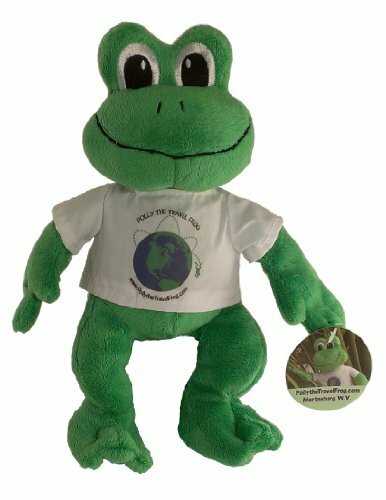 Kids everywhere dig the frog! We think that you are so lucky because you got to visit lots of nice places. We hope you had a good time and it looked very pretty. Did you like it there? What was your favorite thing on the island? What kinds of foods did you try? Did you eat any fish? Was the shrimp good? We have one last question for you…What was the temperature like? I liked the island but it was very small, my favourite part were the people because they were so friendly. I did not eat any insects on the island, but did on other islands in the Philippines, they taste very good. Shane tried lots of food, they love their chicken and fish here. I put a photo of the large shrimps on the post where I met a tarsier, you can see how big they were! The weather was very nice, it was early spring in the Philippines and the temperature was around 22 Celsius at night to around 30 Celsius during the day – that is 70-75 Fahrenheit during the night and 85-90 Fahrenheit during the day. It does not get cold in the Philippines unless you visit the mountains. The Philippines look beautiful at night.Do you like the Philippines?I wish I could go to the philippines.Are there stores on the little island? I am in Mrs Campbell’s class.